What is a Softphone? As what we can understand from the name, a softphone is a software phone. This software allows you to call phones via internet using the VoIP protocol. Using this software, you can even call long distance for a cheaper price. 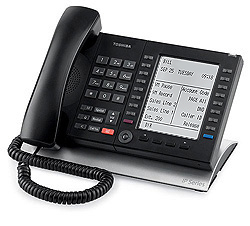 It is a virtual phone on your computer or PDA that would allow you to dial a number and call it as long as you have internet connection. It uses your computer interface and shows the dial pad on the screen of your computer or monitor and you dial using your mouse or keypad. Primarily, call centers use softphones in their business as this allows for cheaper outgoing calls, whether it is local or international. Softphones also allow for traffic control which is a vital feature for call centers. Call centers however, are not the business users of Softphones, many business men and women also use Softphones to call and communicate to their offices or business partners, especially when they are travelling as the phone allows for cheaper rate in calling. As long as you have internet on your computer or PDA, you can call home or your office or even business partners wherever they are in the world. What are the requirements to have a Softphone? First of all, you would need a computer or laptop or a PDA where you can install the software for the softphone. Your computer, PDA or laptop should have a working microphone, speaker or headset, which you will use in talking to the party you are planning to call or communicate with. Some also uses phones, like USB Phones that they connect to the computer as a handset for calling. Next, you would also need a high speed and reliable internet service with enough bandwidth to allow a clear, uninterrupted communication. Some Softphone software would not work properly if the bandwidth and speed is not enough for faster communication turnover. Most people prefer a DSL line for a reliable internet connection. You would also need an ITSP or an Internet Telephony service provider that would provide you with the VoIP or Voice over Internet Protocol service for your softphone. There are plenty of providers for ITSP that you can choose from. What are the features of a Softphone? Typically, softphones have the same features that you can get from a physical phone. Some features are dialing, DND (Do Not Disturb), Hold, Transfer, Mute, Flash and some most common features. Some softphones work as a stand-alone program that only works as a basic phone but some businesses, such as those that uses them for sales or support or for call centers, the Softphone is integrated to their program that not only allow them to make and receive calls, it also pulls up the file or the history of the maker or receiver of the call, thus making it easier for them to determine the needs of their client or caller and assist them accordingly. Some softphones also have features that track the phone call and record the length of the phone call or the phone call itself for quality control purposes, another feature that makes softphones ideal for many different kinds of businesses.